None of them, it goes without saying, ever spent five minutes searching for a Maxfli Noodle on a hillside of marram grass, bluebells, buttercups, red clover, yellow rattle and kidney vetch. None of them ever had to wedge up to a tucked pin from a gully smothered in rye, knapweed, eyebrights, bird’s-foot trefoil, marsh orchids and ragged robin. Granted, golf requires the cultivation of a half-inch or so of turfgrass. Grass provides the perch from which the ball is struck and the surface upon which it rolls to the hole. The argument can even be made that an additional inch of vegetation on the periphery adds zest to a round and keeps balls from rolling indefinitely. But top-ranked Askernish Old, the rediscovered Old Tom Morris course on the isle of South Uist, has redefined “rough.” Miss a fairway at Carnoustie and you automatically reach for your wedge. 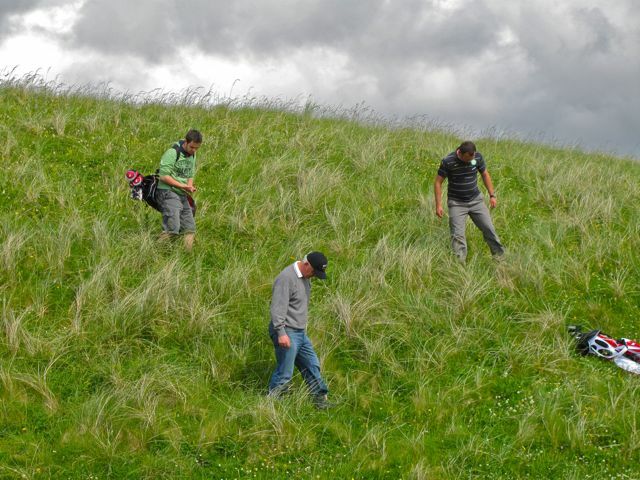 Miss a shot at Askernish and you reach for a new ball. Nature dealt an even poorer hand to the seventh-ranked Castle Stuart Golf Links in its first year as venue for the Barclay’s Scottish Open. A violent thunderstorm dumped a month’s worth of rain on the course in an hour, flooding the practice range, collapsing an escarpment and blanketing the twelfth fairway with mud and uprooted gorse. The tournament, won by World Number One Luke Donald, had to be be shortened to three rounds. Forbes, who drives the ball about 190 yards under any conditions, is a consistent winner in July and August, when the rough is up. Top 50 on TV: Nothing this week, but they’re playing the Open Championship at Royal St. George’s, No. 134. Asked where he would rank it among the Open courses, 1989 Open champ Mark Calcavecchia said, “Dead last.” … “What bugs those who don’t care for the course is the abundance of slopes and bumps that propel a seemingly good tee shot into a bad one,” writes ESPN’s Bob Harig. 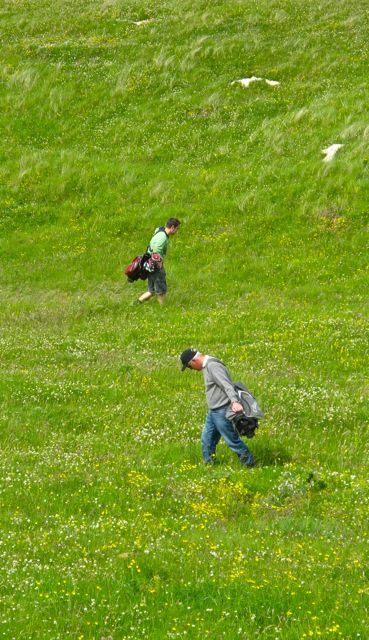 … Personally, I love courses that have an abundance of slopes and bumps — so long as I can see the bumps. As I explained last time, fears that the Top 50 ratings might be flawed led me to cross the Atlantic for three weeks of club-in-hand research on some of our most highly-rated links courses. To get started, I met my longtime friend and America’s Worst Golf Courses researcher Dave Henson at the Glasgow airport, loaded his sleepy carcass and his golf clubs into the rental car, and then drove north along the shores of Lochs Lomond and Inverness to the banks of the Moray Firth, where the staff at Castle Stuart Golf Links rolled out the red carpet for us. Dave, who was nursing a case of bronchitis, thought that was a great idea, and since I was already familiar with Castle Stuart, having played it last July, when it opened, I concurred. 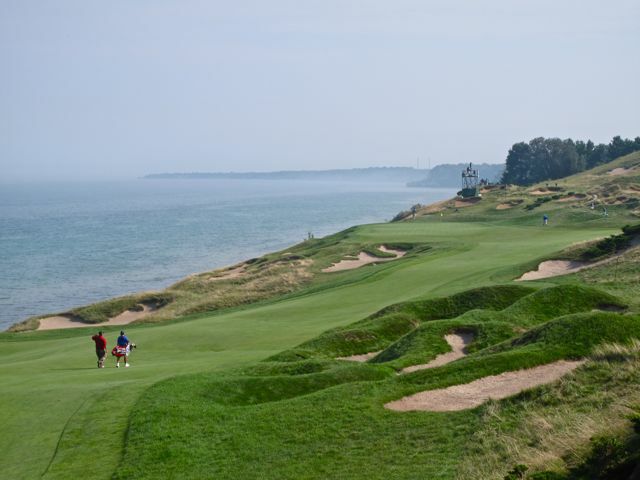 “But let’s play just a few holes,” I suggested, “to loosen up after the drive and your flight.” To that end, the club’s general manager, Stuart McColm, offered to drive us out to the fourth tee in his SUV, so we wouldn’t have to play the first three holes along the water into the gale. So we were on the tee of the par-3 fourth when the next squall swept down behind us, blowing over our golf bags, puffing out our rain suits and pelting our necks with stinging sleet. “This should wake you up!” I shouted over the wind, drawing a withering glance from my old friend, who woud prefer to puff on his pipe by a cozy fire whenever the barometer needle dips a fraction. Anyway, we played holes four through nine in varying inclemencies and then drove back into Inverness to check into the Craigside Lodge B&B and change into dry clothes for dinner. Day Two. A cold, windy, dreary morning followed by a cool, breezy, but clearing afternoon. Dave kept looking at the clouds as if he expected anvils to fall out of them. However, the promise of a round at Royal Dornoch improved his mood. It took us less than an hour to cross the big bridge and motor up past lochs, farms and forest to Dornoch, which is pretty much the northern outpost of the old British Empire, golf division. The great Donald Ross, I didn’t have to remind Dave, was head professional and greenkeeper at Dornoch before emigrating to the United States and establishing himself as the preeminent course designer of his time. “You didn’t have to remind me,” Dave said. It was blowing 25 or 30 knots when we teed off at Dornoch, making the national and club flags snap and crackle atop their poles. 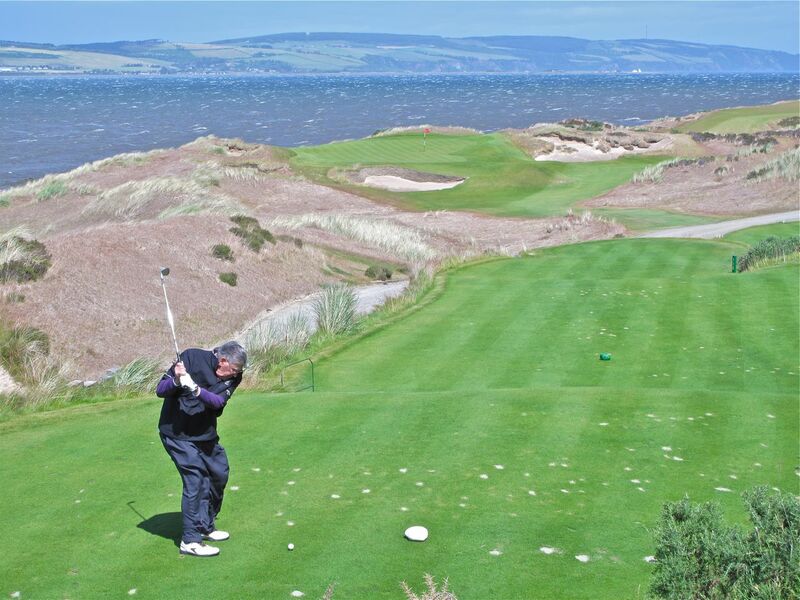 But it was a helping wind, not the in-your-face variety we had encountered at Castle Stuart. Not that Royal Dornoch needed any help. Checking my notebook after the round, I found that it was filled with pithy praise: “A classic links …. lovely gorse-covered banks … delightful changes of elevation … unpretentious, a small-town feel … beautiful green complexes … sod-faced bunkers to be avoided at all costs … great sea views! 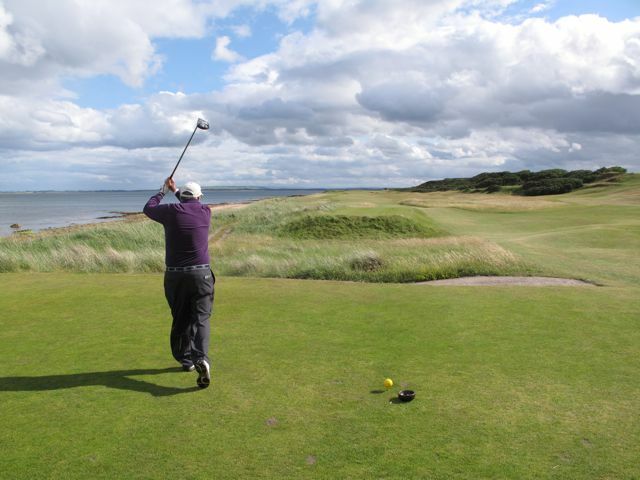 … a perfect distillation of traditional course design with contemporary shot values …” Those are not scientific judgements, to be sure, but the point of our visit was to see if Dornoch’s Top 50 rating stood up to soft-spikes-on-the-ground scrutiny. It did. 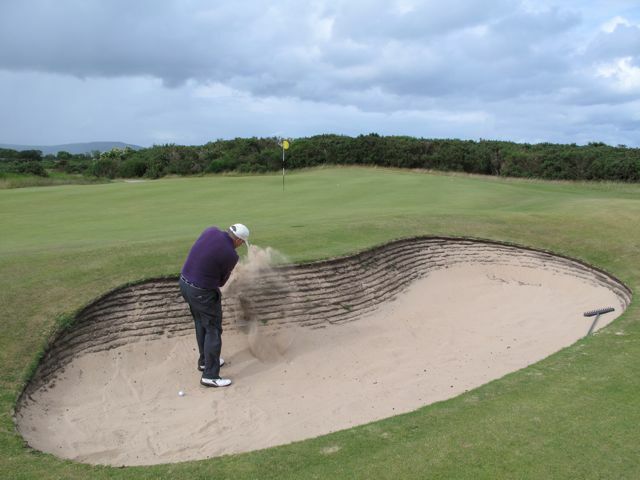 In fact, I drove out of town at dusk convinced that Royal Dornoch deserves to be ranked in the top twenty of any reputable course-rating system. And that’s without factoring in the wonderful dinners we enjoyed in the club’s upstairs lounge, which looks down on the first tee and beyond to that long stretch of sand and sea. So, tomorrow, we’ll check out Nairn.